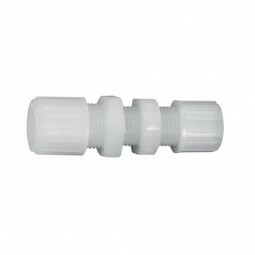 THOMAFLUID®-PFA tubing screw joints are used for connecting flexible tubing made of elastomers and predominantly of PTFE, FEP and PFA. The High-Pure connection principle is based on sliding the rigid tubing on the integrated nozzle. 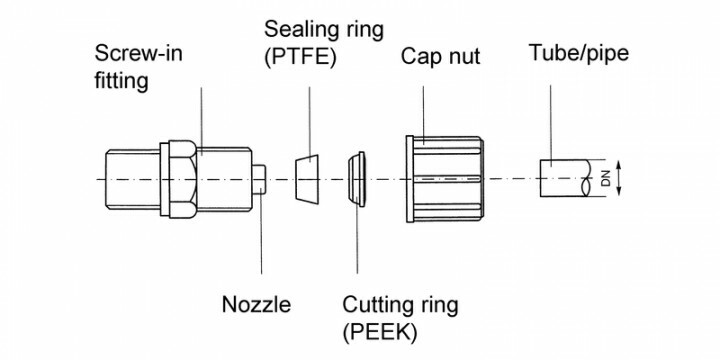 The arrestment of the tubing is effected by a cutting ring made of PEEK (polyether-etherketone) and the tightness by a sealing ring made of PTFE (polytetrafluoroethylene), which act on the tubing by means of the knurled nut. The cutting ring notches into the tubing to the extent to which the knurled nut is screwed on the screw joint body. When screwing on the knurled nut, a shear force acts via the cutting ring increasing the contact pressure and thus ensuring a frictional and tight, easy-releasable connection that minimizes the dead volume. With cylindrical connecting spigot dimensioned in such a way that dilatation of the tubing does not exceed 6 % (referring to the tubing outside diameter) even with unfavourable tolerances. The tension of the remaining dilatation achieves tightness of the screw joint up to 5 bar. Tightening of the knurled nut ensures the tightness up to 10 bar (at +20 °C). 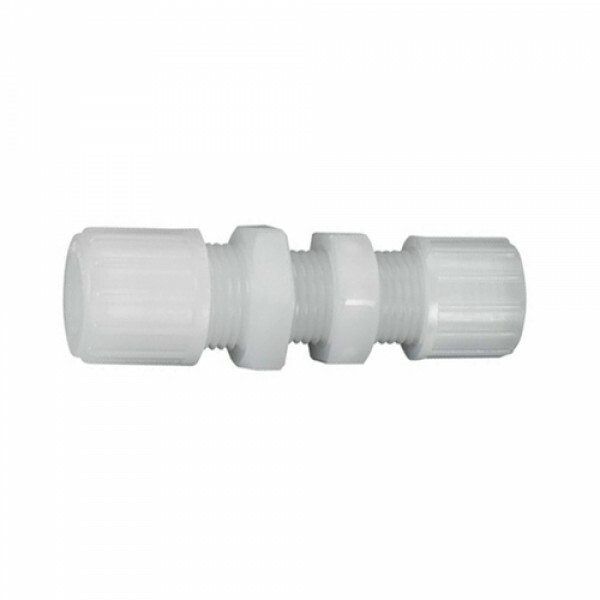 A safety effect is guaranteed by the fact that the screw joint remains tight even when the tube connecting spigot is teared off or heavily damaged by any impact. This tightness is caused by the knurled nut pressing in the cutting ring into the cone of the screw joint thus producing a seal in the cone. 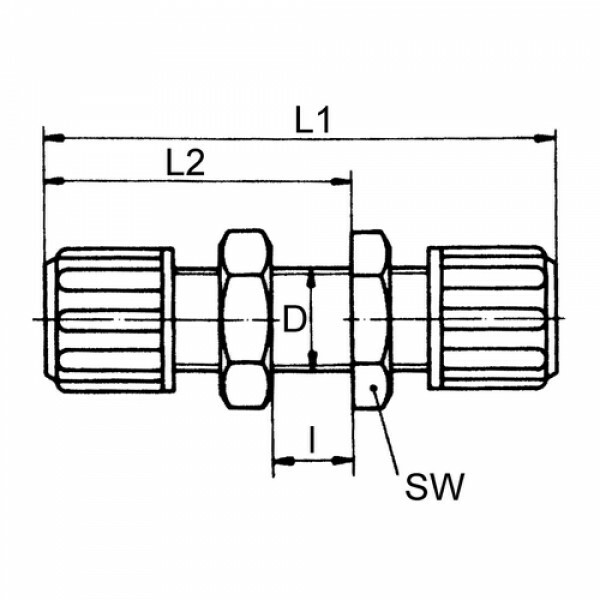 The connecting spigot functions as a carrying bracket, and a carrying bracket has not necessarily to be a fixed component part of the screw joint body. Chemical, thermal and dielectrical properties practically such as PTFE, but suitable for thermoplastic processing (welding, die casting, deep drawing). Lower medium diffusion, better transparency, larger hardness and better dimensional stability (lower tendency to cold flow) compared to PTFE. Comply with the guidelines from FDA and USP class VI.